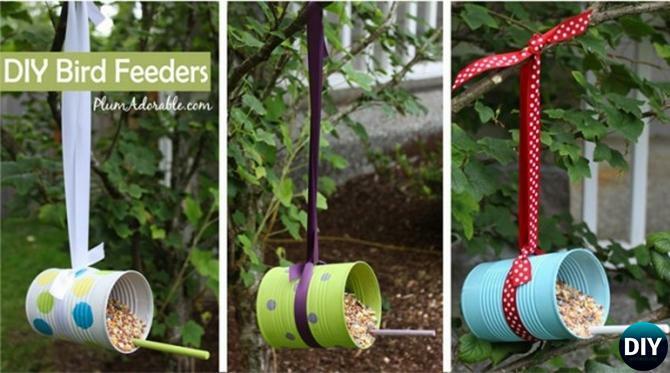 Take care of the birds in your back yard this Spring with these brilliant bird feeder ideas. In these cold, harsh months our feathered friends struggle to find their own food but, with a few household materials and some simple crafting, we can hep them out! Not only will the homemade feeders help to encourage wildlife, but they’ll make your garden look that extra bit special. We have collected a great list of DIY birdfeeders that will instantly beautify your porch or make the perfect gift. They are easy to make and are great for getting those birds to your property so that you can enjoy them. 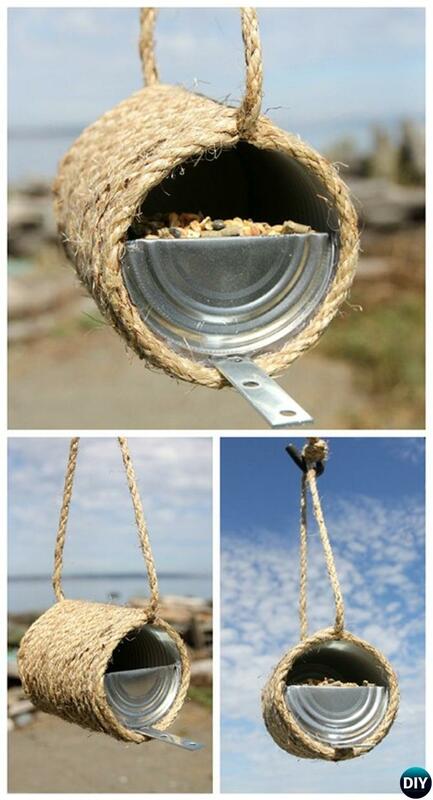 This is a great way to recycle and feed the birds at the same time! Save up all your tin cans from dinner time and you’ll soon have enough to get cracking! Image and Instructions: Plum Adorable. 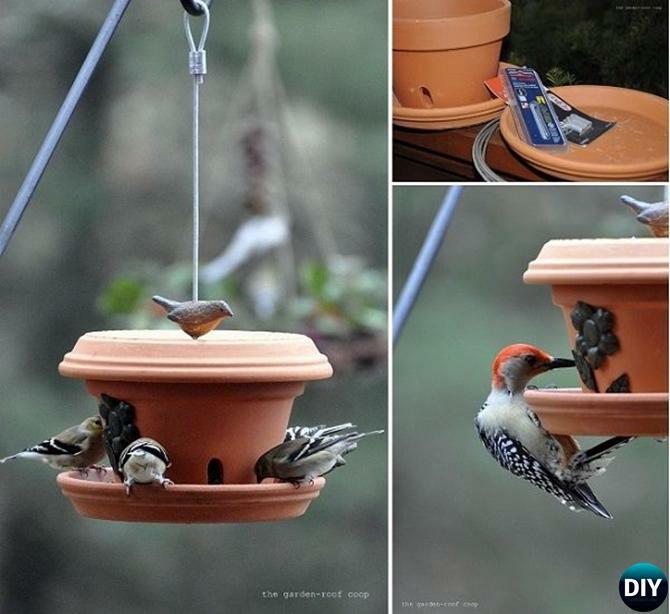 An old flower pot will make a beautiful bird feeder. You will need to drill holes in the pot so that the birdseed will come out. You will need a plastic bottle with the top cut off and this will need holes drilled in as well. 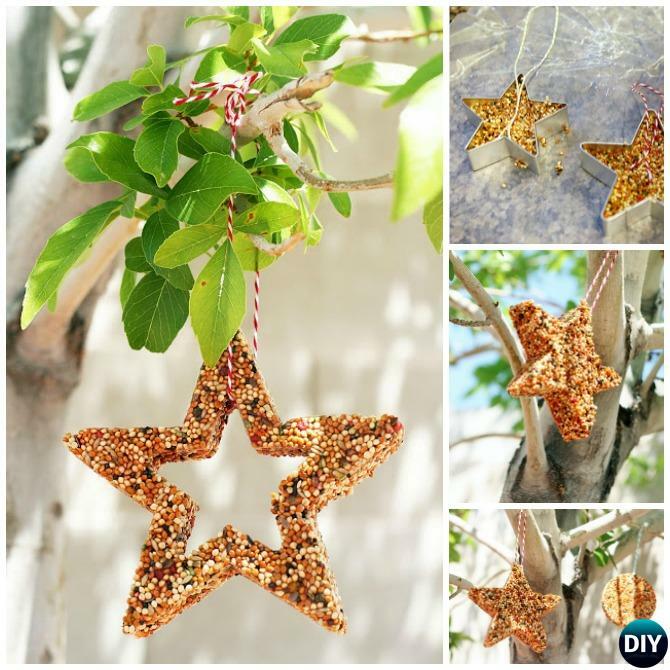 Get creative when you are drilling the holes and make a pattern so that they are functional and decorative. 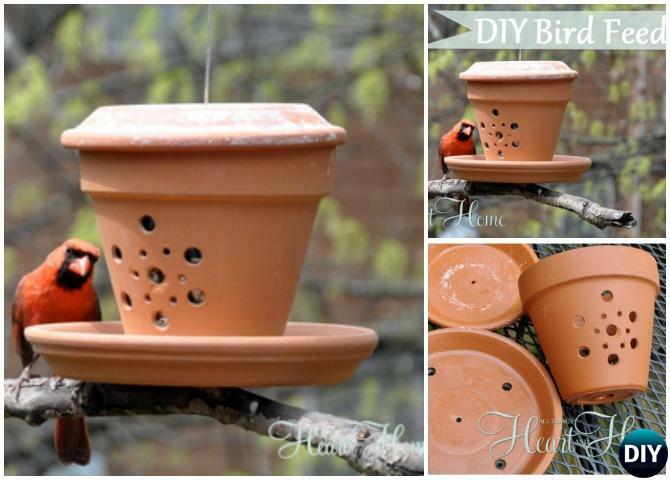 Also Check out more Clay Pot Bird Feeders Instructions. 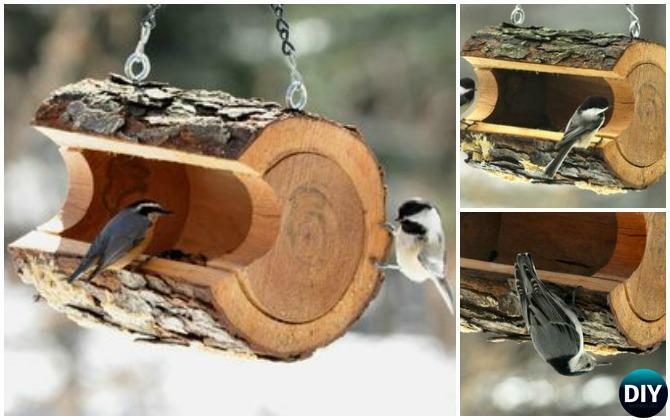 You can create bird feeders in all shapes and sizes when you mold them. If you have cookie cutters, you can mix gelatin and water to create a base and then add birdseed and mold it in the cookie cutters. Once the mold sets, you can hang these little feeders anywhere with string. Kids will love this project and if you don’t have a lot of cookie cutters on hand, you can use mason jar lids or anything that will create a mold. 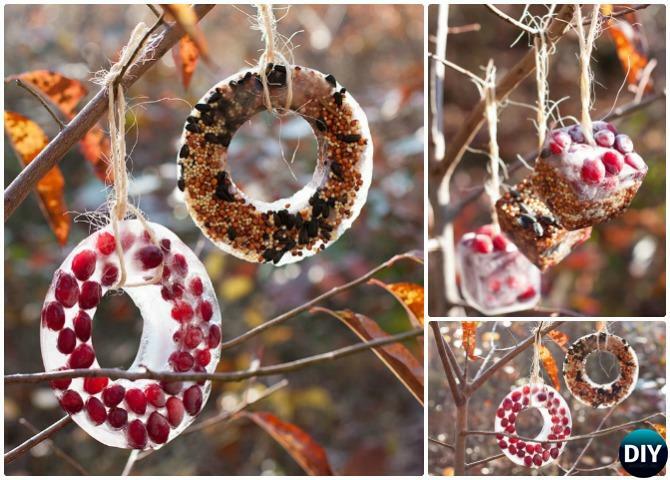 Bring the festive spirit to your yard with these wonderful ice ornaments. The birds will thank you for them!